Attocube announced on Dec. 19 that it recently signed a memorandum of understanding with the Mongolian Association of Private Pre-school Center concerning its entrance into Mongolia’s preschool education market. Attocube is a startup company that develops diverse types of educational content using wooden blocks as well as IT-based smart toys. In addition to its wooden cubes, Attocube’s educational content consists of workbooks, picture books, role-playing books, and board games. Children arrange the wooden blocks into the configurations outlined in the workbook, which are then used to create stories or engage in role-playing activities. The blocks can also be used in conjunction with board games or textbooks to promote creative thinking. To accompany its offline products, Attocube will be releasing online/offline products that can be linked to a smartphone within the first quarter of 2017. These products will involve arranging wooden blocks to re-create shapes that appear on the smart device’s screen. Attocube’s products have proven effective in promoting multi-sensory learning for children three to four years of age by stimulating the senses of sight, touch, and hearing and engaging critical thinking skills. An Attocube spokesperson said, “Through the memorandum, we now have an opportunity to establish a significant presence in the Mongolian education market, where interest in preschool education is very high. 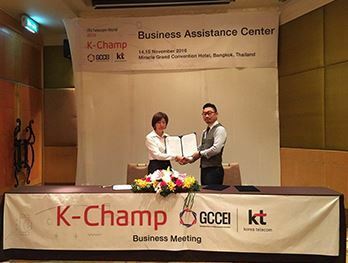 And we will continue expanding our presence in key strategic markets overseas.” Attocube receives support, including assistance with marketing, from the Gyeonggi Center for Creative Economy & Innovation in its efforts to enter foreign markets.